Green Mountain Presbyterian Church began in 1883 as a Bible School meeting in a tent near 11th and Larimer Streets in Denver. 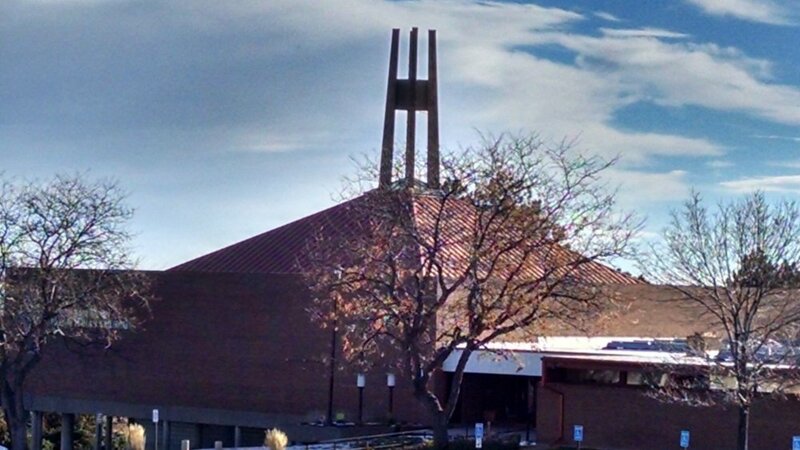 The First United Presbyterian Church of Denver was formally established June 3, 1883. In 1895 it relocated to the corner of 14th and Lincoln—across from the State Capitol grounds. The church remained at this location until 1965 when it relocated to its present location on Green Mountain, Lakewood. Over the years, as the downtown church grew, in 1953 it added an education building and a center in North Denver, providing an active Christian program for multiracial children and families in the Stapleton Housing area. The church also sponsored the organization of Calvary United Presbyterian in Southeast Denver. The church reached a peak of 1000 members in 1957. As plans for the new Green Mountain church were being made in 1962, services were held at Green Mountain Elementary School for those new church members living in the west while continuing services for the downtown members at Civic Center. Groundbreaking ceremonies took place July 19, 1964 for the new Green Mountain building. The two groups worshiped together for the first time on September 26, 1965 when the Cornerstone Laying Service was held at the new building site. Our current facility was dedicated May 8, 1966. 1883 A Sabbath school held in a tent at 11th and Curtis streets in downtown Denver is reorganized at First United Presbyterian Church. 1895 Parish Moved to a building between 13th and 14th Ave.
1953 Parish added a christian education building and center in North Denver for multiracial families in the Stapleton housing development area, as well as sponsoring the formation of Calvary United Presbyterian Church in southeast Denver.